SCVHistory.com FF0801 | Tataviam Culture | Mares Family, Arleta ~2008. 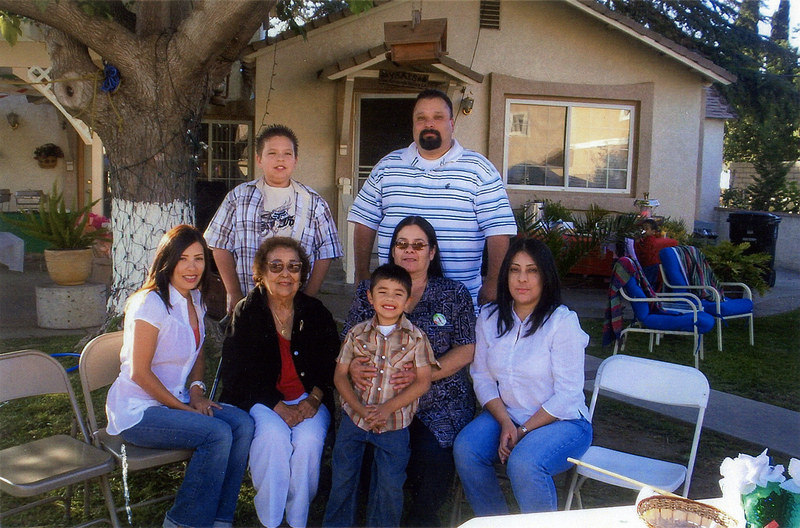 Family of Alice L. Garcia Mares (bottom row, second from right), Arleta, ~2008. Alice is a daughter of Louis Francis Garcia (a son of Chief Mary Cooke Garcia). 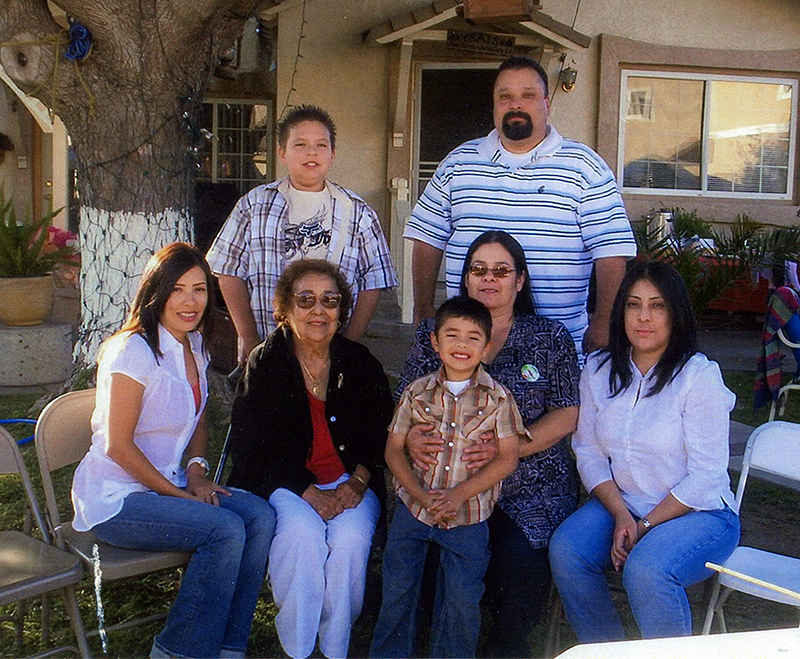 Bottom row, from left: Adriane M. Mares Cervantes (daughter of Alice), Mary Padilla Garcia (Alice's mother), Xavier K. Cervantes (son of Adriane), Alice, Angela T. Mares (daughter of Alice). Top row, from left: Andrew Z. Carranza (son of Adriane), Peter L. Mares (son of Alice). Descendants of Chief Mary Cooke Garcia (1901-1975) trace their ancestry to individuals who lived in the Santa Clarita Valley prior to European contact in 1769. FF0801: 9600 dpi jpeg from color photocopy courtesy of Alice Garcia Mares.